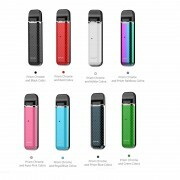 SMOK SLM Kit is a pen-style pod system kit. It adopts air-activated mechanism without any button, very easy to operate. Powered by 250mAh built-in battery, the SLM is portable yet powerful. It features intelligent LED indicator and multiple protections. The cartridge has 0.8ml capacity. 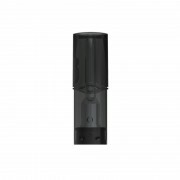 Coming with easy side filling design, you will enjoy a simple vaping experience. A. How to charge SLM? Simply charge SLM Mod by connecting it with a computer, a power bank, a wall adapter or other electronic devices (with a USB port that is capable of providing a charge) via USB cable, also you can purchase an inexpensive USB car adapter, thereby affording you the ability to charge the SLM Mod in the car. This is particularly useful while you are on long drives and road trips. 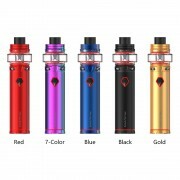 ❤ Please read the user manual carefully before using this SMOK SLM Kit. 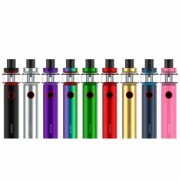 ☞ 6 months warranty period for SMOK SLM Kit.